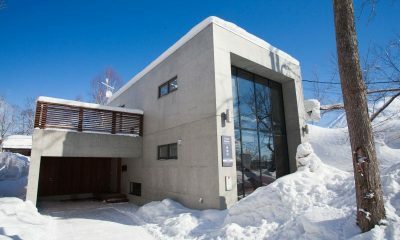 Sugarpot is a grand old chalet which has been renovated to meet the high standards of modern day powder hounds looking to take on Niseko. 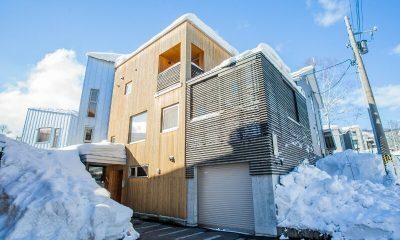 Strategically located on the border between Hirafu’s Lower and Middle Village, the five-bedroom chalet offers easy access to the best restaurants in town as well as the ever convenient shuttle bus stop. 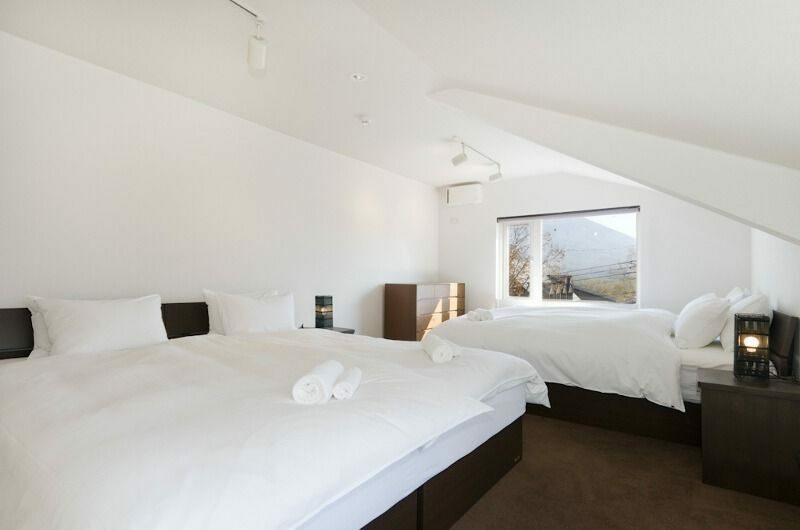 Generously built over three floors, Sugarpot is decorated with neutral tones of white, black and timber, allowing the striking Mount Yotei views to take centre stage. 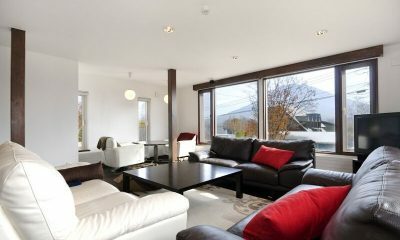 Sugarpot is perfect for big groups, with five bedrooms and living areas generously spread over three levels. 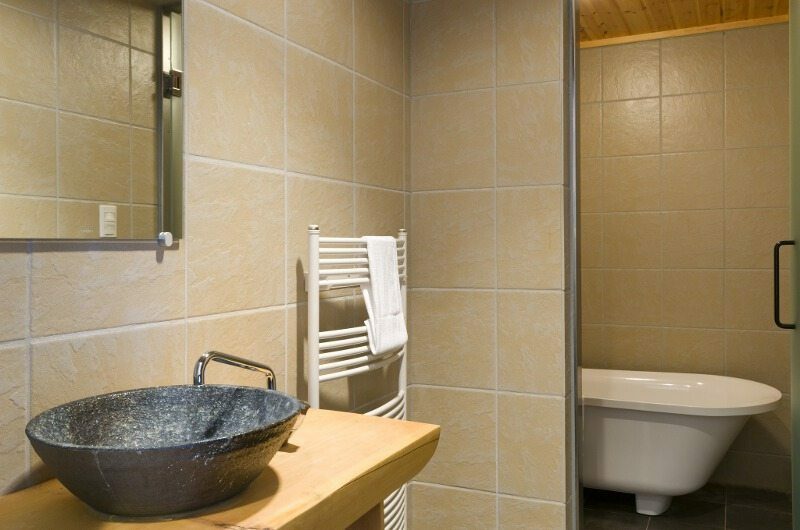 Two bedrooms come with bunk beds, making the chalet a great choice for families travelling with kids or teenagers. 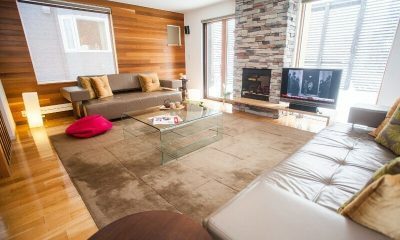 Perhaps the most impressive feature of this grand old chalet is the spacious living area which is located up on the first floor. 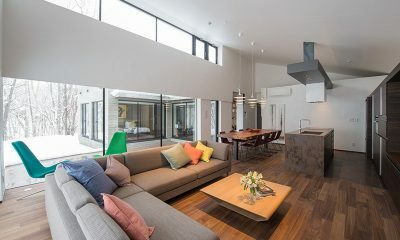 An arrangement of white and brown sofas offers plush seating for the whole group, with generous windows framing views of Mount Yotei. 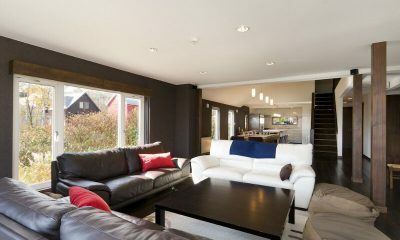 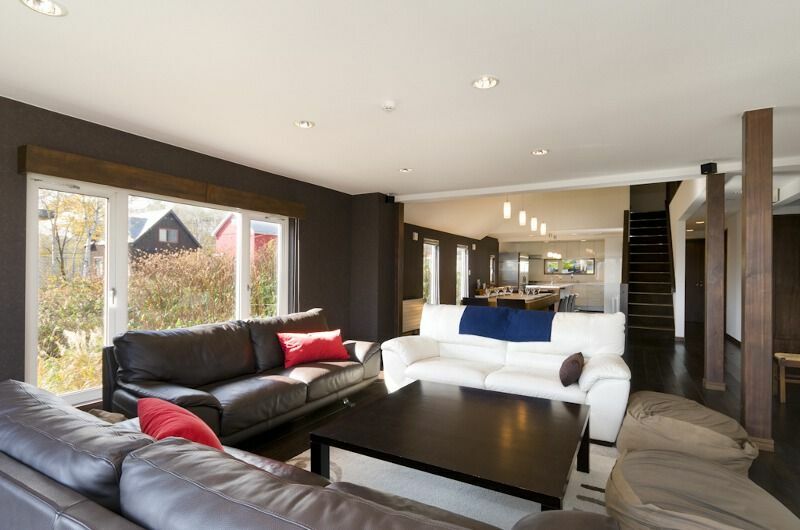 For added entertainment, the chalet also has a media room located on the ground floor. 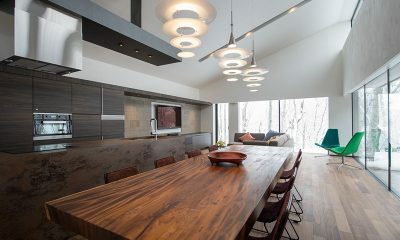 Housed at the other end of the living room, the chalet’s wooden dining table can seat 10 guests on sleek back chairs. 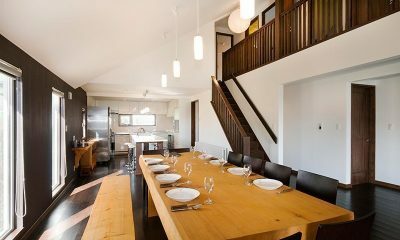 Behind the light filled dining area is the chalet’s modern kitchen which connects fluidly to the dining area and the living room beyond. 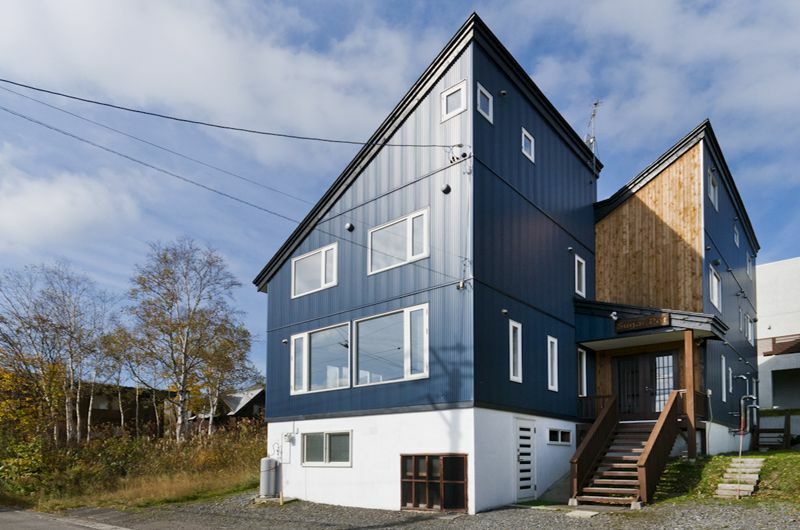 Sugarpot has five bedrooms. 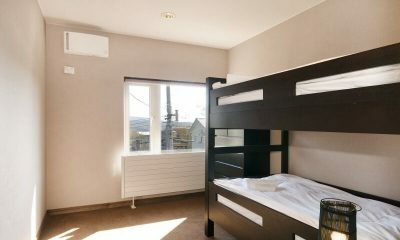 Two rooms have double beds which can also be set up as two single beds if needed. 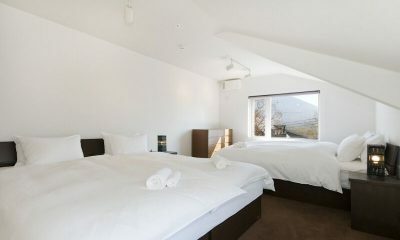 One room has two double beds which can also be set up as four singles. 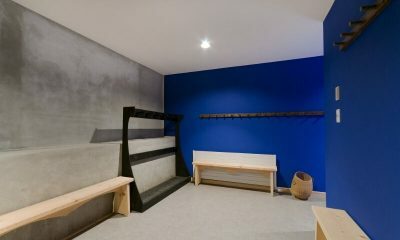 The two remaining rooms have two bunk beds each. 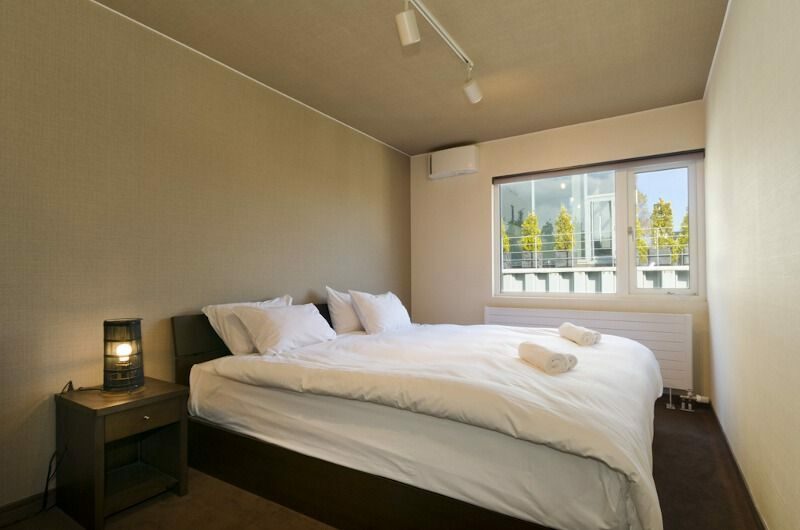 Sugarpot’s first bedroom is located on the second floor. 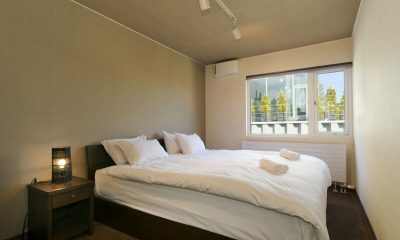 The room has a double bed which can also be set up as two singles. 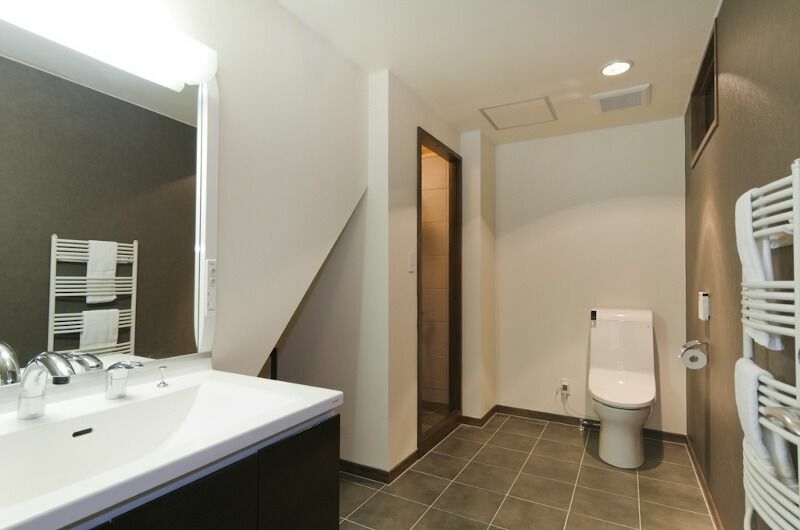 The room has an adjoining toilet and there is a shared bathroom close by in the hallway. 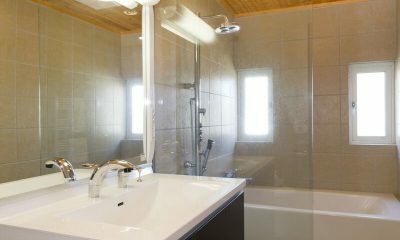 The second bedroom is also on the second floor. 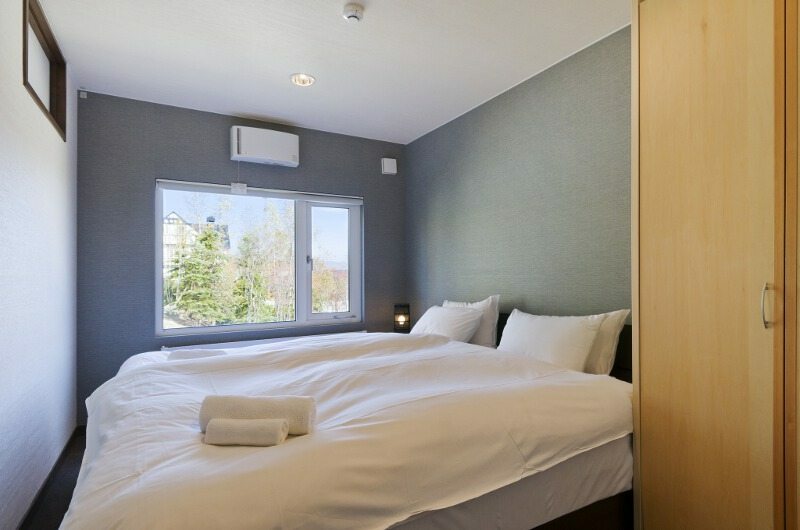 The room has a double bed which can also be set up as two singles if needed. There are two shared bathrooms on this floor, one with a shower and the other with both a bathtub and a shower. 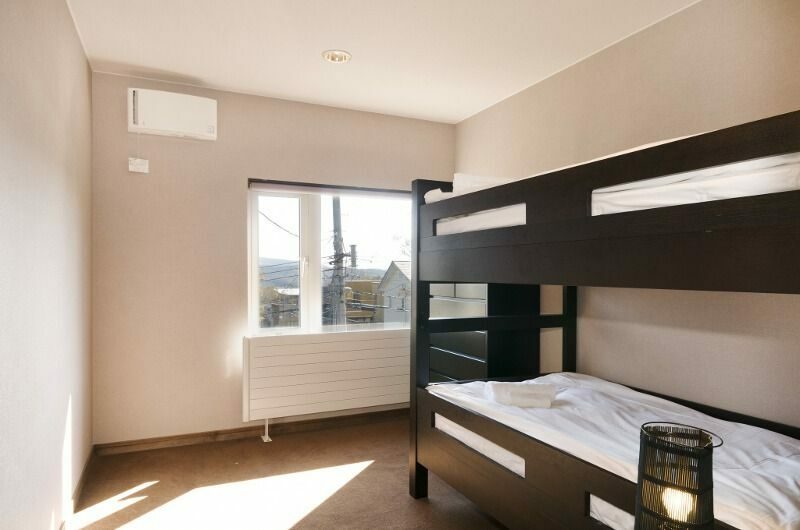 The third bedroom is also on the second floor and features two double beds which can also be set up as four singles if needed. 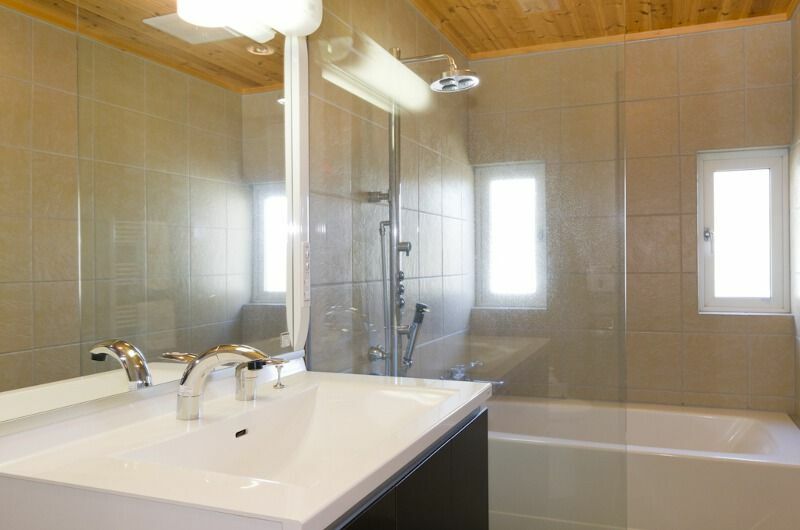 There are two shared bathrooms on this floor, one with a shower and the other with both a bathtub and a shower. 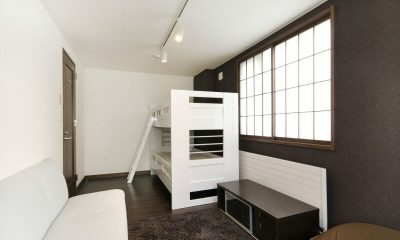 The fourth bedroom is also on the second floor. 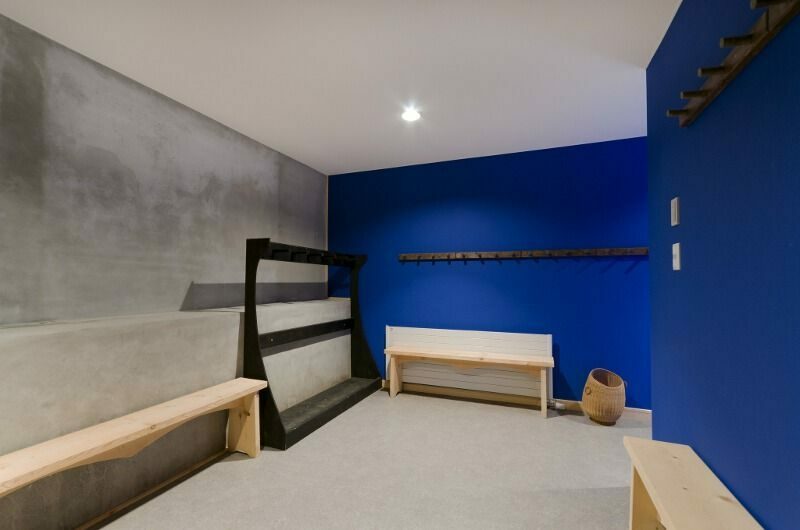 This room has a set of bunk beds sleeping up to two guests and access to the two shared bathrooms located on this floor. 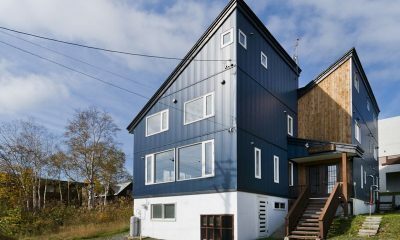 The fifth bedroom is on the first floor. 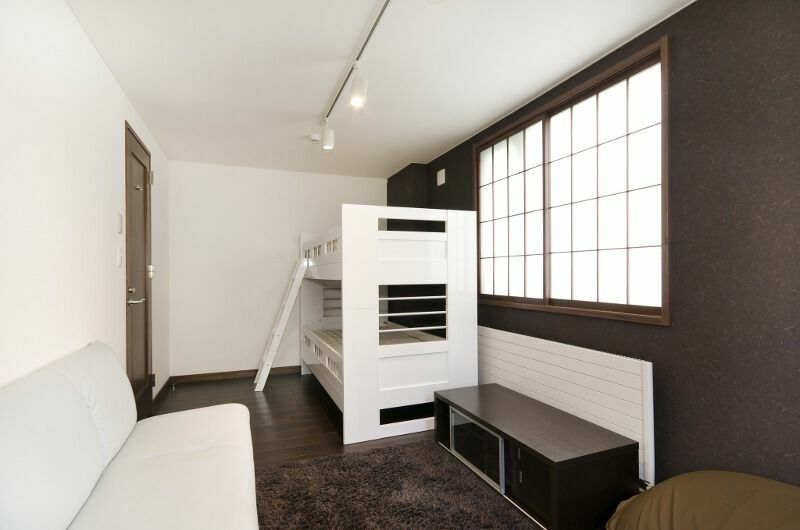 This room has a set of bunk beds which can sleep up to two guests. 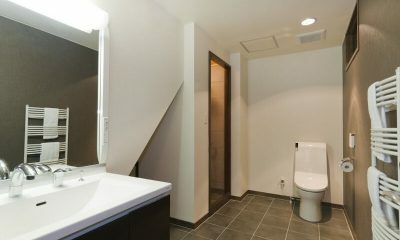 There is a separate toilet right next to the room and a standalone bathroom with a bathtub and shower next to it. 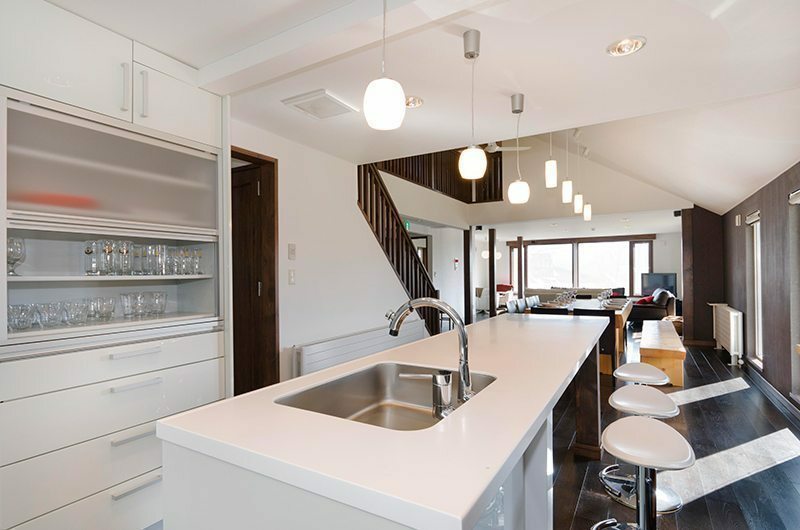 Sugarpot is a five-bedroom chalet that’s built over three floors. 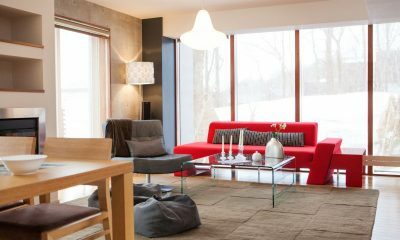 The ground floor houses the media room and ski room. 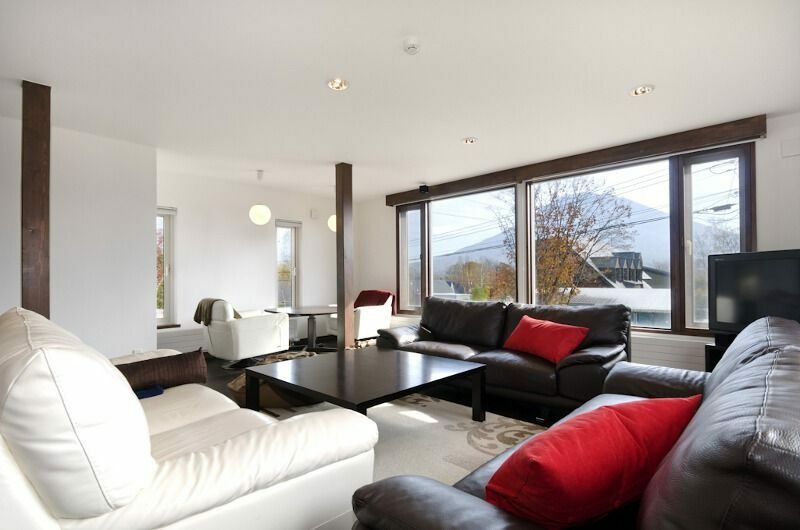 The first floor houses the living and dining areas and one bunk bedroom. 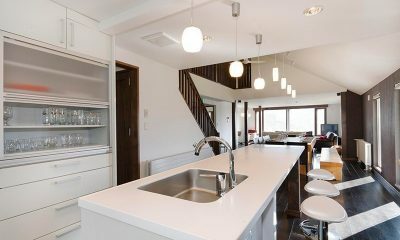 The second floor houses the remaining four bedrooms. 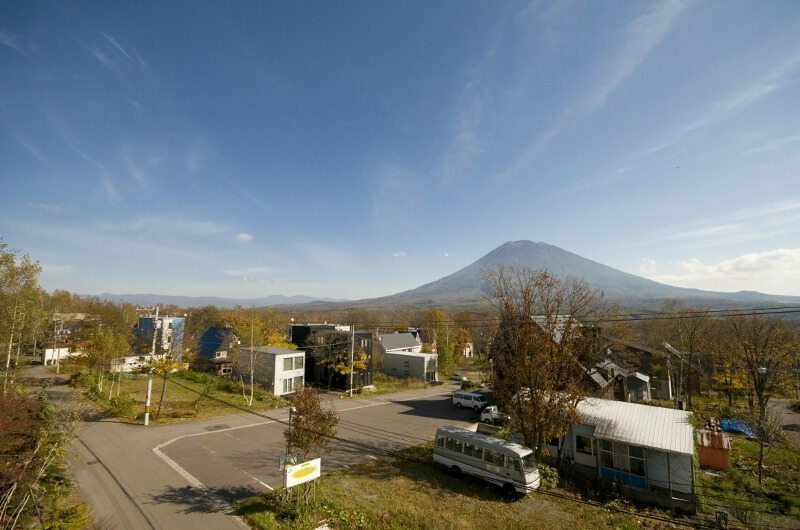 Sugarpot is located on the upper edge of Hirafu’s Lower Village in Niseko – this brings you to the doorstep of Middle Village. 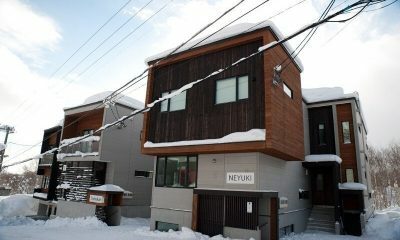 The shuttle bus stop is just around the corner so reaching the slopes will be easy. 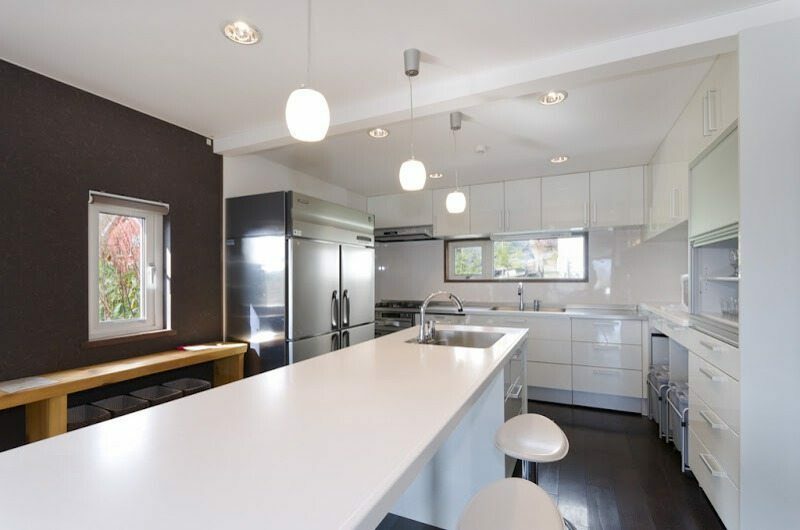 It’s not too far to the restaurants waiting in the main village but there are also some great options closer by, including the iconic Fridge Door Bar. 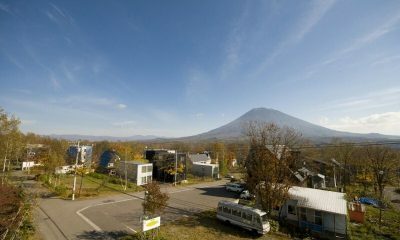 Epic place for a Niseko vacation! 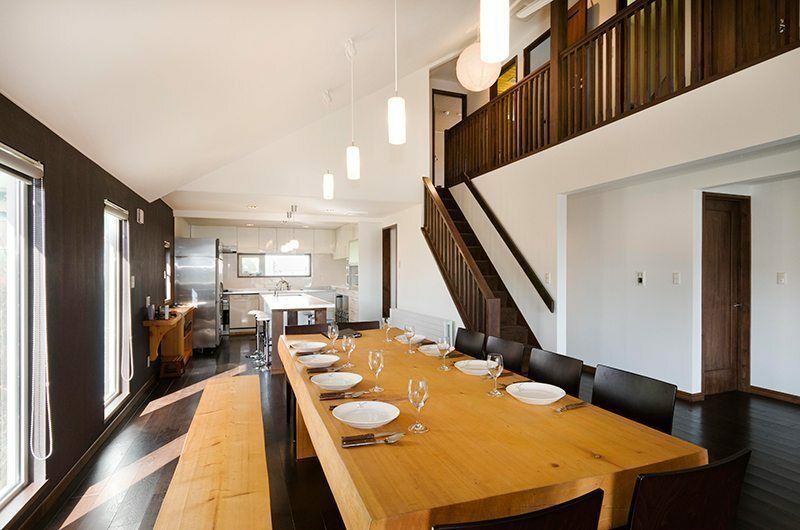 The 5 bedroom chalet is perfect for a large group on a budget. 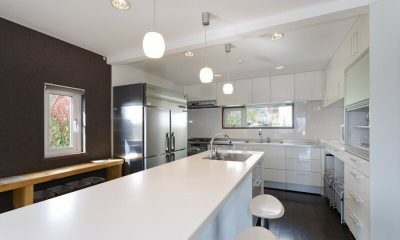 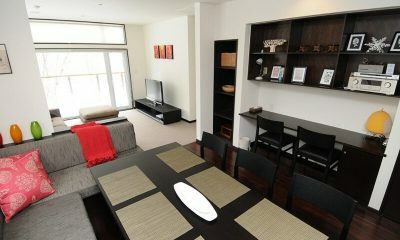 It’s in the heart of town and close to shops, bars, shuttle bus and everything you could possibly need. 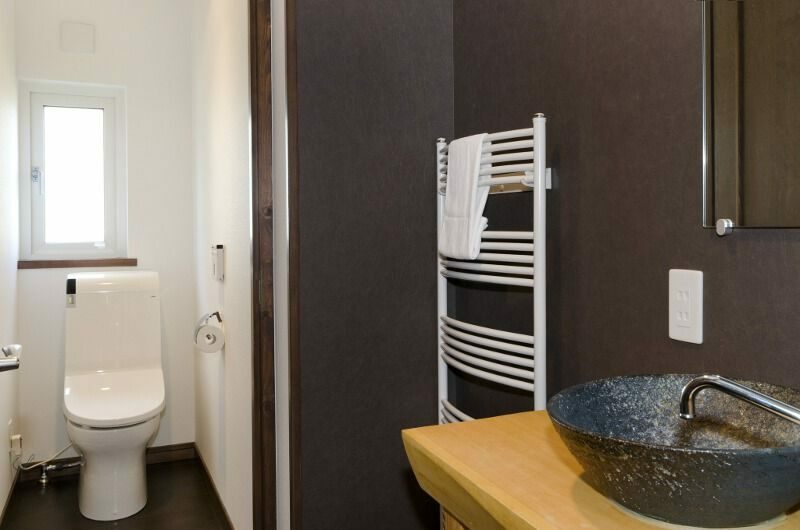 Amazing value too so you will not find much cheaper!